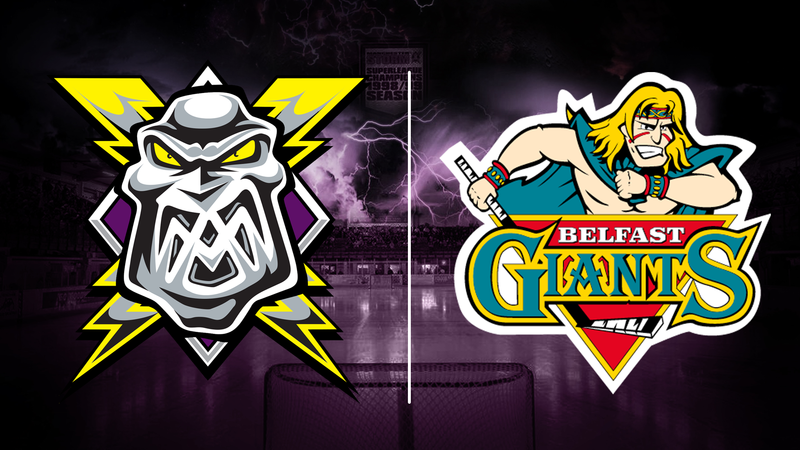 TICKETS: The Go Goodwin’s Manchester Storm are back in home action twice this week! First up it’s this Wednesday (14th Dec), as we take on the Belfast Giants here at the Storm Shelter in the Challenge Cup Quarter Final! Face Off is at 7pm! Then on Saturday (17th Dec) we take on the Fife Flyers (7pm) again here at the Storm Shelter! Tickets for both games can be ordered online or by calling the box office on 0161 926 8782, or in person at the box office. 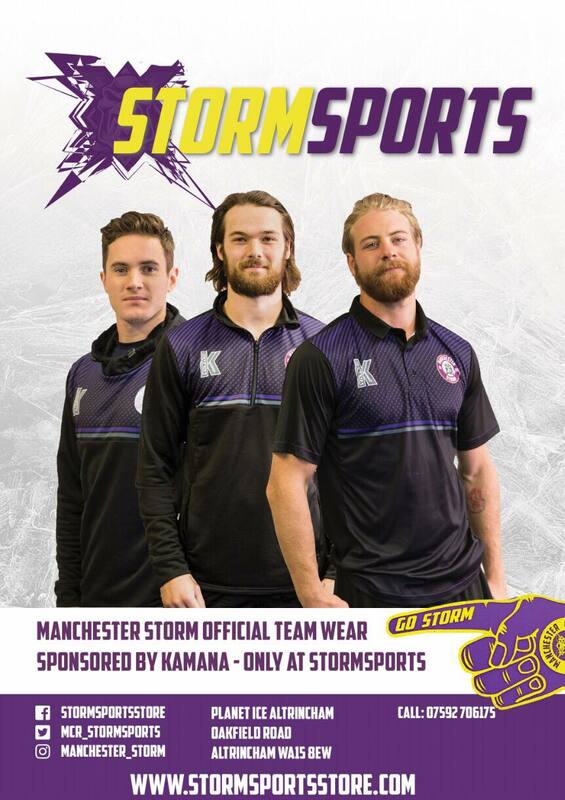 Your Go Goodwins Sponsored Manchester Storm are back in mid-week action, as they take on the Belfast Giants in the quarter final of the Challenge Cup, facing off at 7 pm Wednesday at the Storm Shelter. The teams got acquainted at the weekend, as Belfast skated away with 2 points in a tight game in Altrincham on Sunday. The teams traded goals in the first period, Chris Higgins and Trevor Johnson netting a goal apiece. The game continued to ebb and flow as the teams traded chances in the second and third periods, however it was Matt Nickerson who scored the game-winning goal with ten minutes left in the game to take the points back to Belfast. Belfast qualified for the quarter finals of the cup by finishing top of Group A, securing 13 points from their 8 group games. They started with a double against the Fife Flyers, going down 5-2 in Kirkcaldy before getting their revenge a week later winning 4-2 at the SSE Arena, the first in a 3-game winning streak in the cup. Victories at home against Edinburgh and Dundee away followed, before Dundee went to Belfast and won 4-3 in overtime, leaving the Giants with 7 points from their first 5 games. The Giants then downed the Clan both home and away before taking a 6-2 victory over the Capitals in Edinburgh to finish 2 points ahead of Dundee at the top of the group. Top scoring for Belfast was Blair Riley, who notched 4 goals and 7 assists in the group stage. Storm secured progression to the quarter final with a 4th placed finish Group B, a strong start undone by some injuries towards the end of the group stage. A 6-4 loss against Sheffield was followed by impressive victories over Cardiff and Coventry at home, 4-2 and 3-1, respectively. A goal-fest in Nottingham resulted in an 8-5 loss for the Storm before an agonising shootout loss at home to the Steelers. Another shootout loss occurred in the next game, this time at home to the Panthers in a game that ended 2-2 after 65 minutes of hockey. Manchester then travelled to Coventry in a game that both teams needed to win. The Storm, missing Dziurzynski, Harding, and Valcak through injury, eventually succumbed to a 3-0 loss. As it turned out, Storm’s 6 points from their first 6 games was sufficient for qualification, as the Blaze lost in Nottingham. Manchester rounded out the group stage with a 5-3 reverse in Cardiff to finish with 6 points from their 8 games. Darian Dziurzynski had a particularly fruitful group stage, picking up 10 points in 6 games, whilst Mario Trabucco scored 6 goals in 8 cup games. The teams meet again for the second leg in Belfast next Tuesday 20th December, and both will be looking to get off to a good start in this first game and take a lead into Tuesday’s game. If Sunday’s game is anything to go by, this game will not be one to miss! Storm will be without injured players Eric Neilson, Patrik Valcak and suspended import goalie, Mike Clemente, this evening. Nardo Nagtzaam, who was brought in on a one month contract to cover injuries, has secured a new job in Germany & has flown out to join his new team. We wish Nardo the best of luck, and thank him for his efforts the past 5 weeks. ONE TO WATCH: Blair Riley has been in excellent form this season, scoring 11 points in the Challenge cup and a further 13 in the league. The big winger plays with a crash and bang style and has an eye for goal.